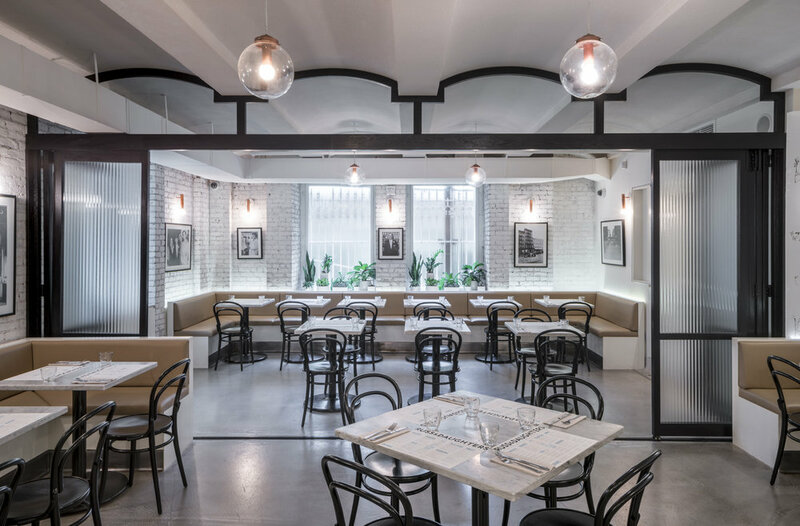 Let Russ & Daughters at the Jewish Museum host your next event! Our restaurant event space has a capacity of 60 seated guests and 80 standing guests. Our private dining room seats up to 20 guests. Russ & Daughters is also the preferred caterer for the museum’s Scheuer Auditorium (capacity: 250) and Skirball Lobby (capacity: 75). 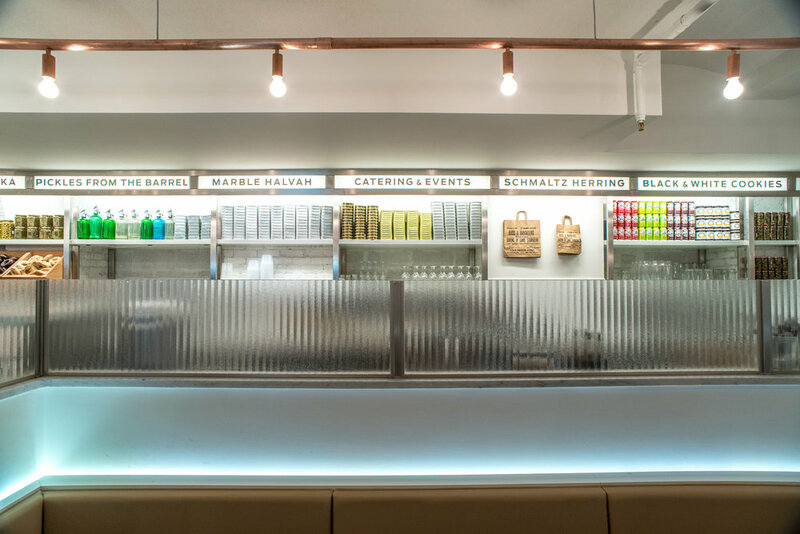 Russ & Daughters at the Jewish Museum serves classic appetizing cuisine and newly-interpreted favorites. We’ve created a variety of menus to suit your needs for breakfast, lunch, brunch, cocktail, or dinner events. You can choose from a la carte menus, family-style menus, buffets, and passed hors d’oeuvres cocktail party menus. Custom gift bags and takeaways for your party are available upon request. 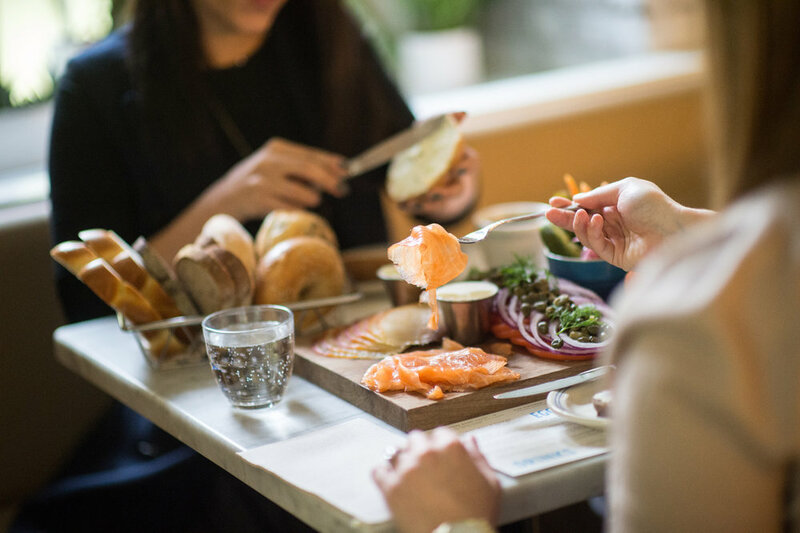 We look forward to working with you to create an experience for you and your guests to enjoy the tastes and traditions of 102 years and four generations of Russ & Daughters heritage and hospitality.